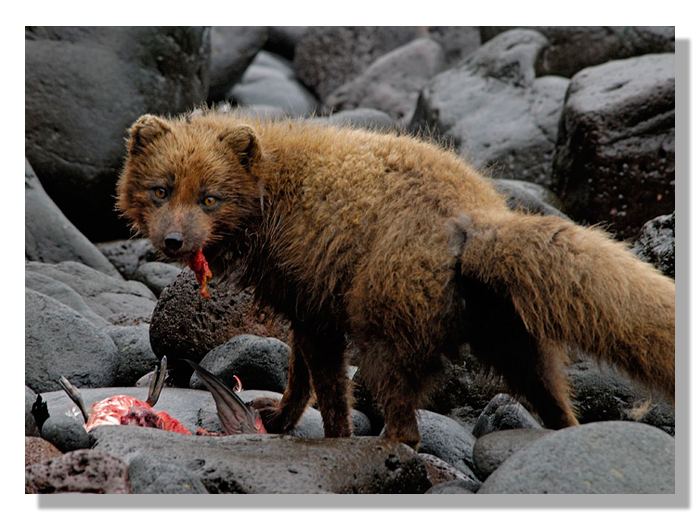 Below is a picture of a fox eating a murre bird. WTF is a murre bird you ask? 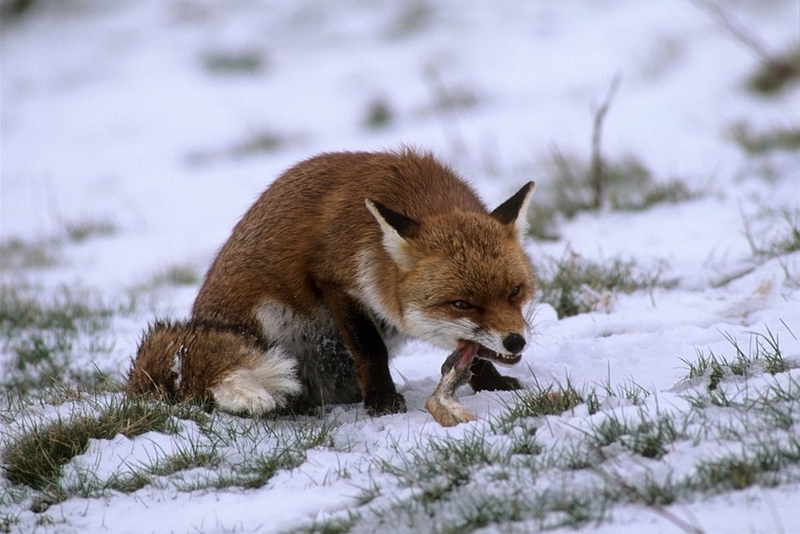 Found on the High Artcic, foxes find these birds a tasty treat. Rats! said the caught rat. 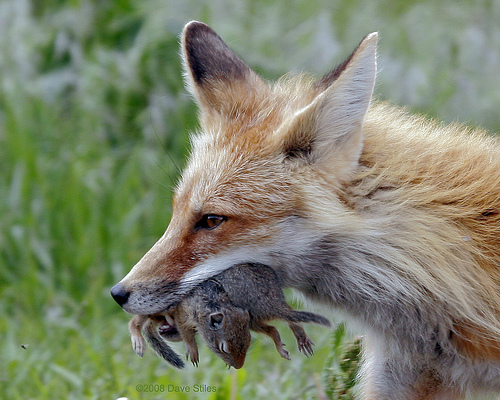 Double Trouble - a fox eats two mice at once! Fox taking a rabbit home to make stew. 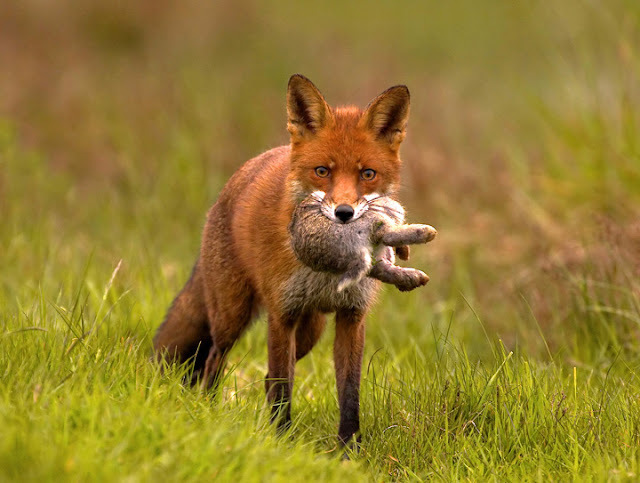 Of course sometimes even the most foxiest of foxes can have the tables turned on them. 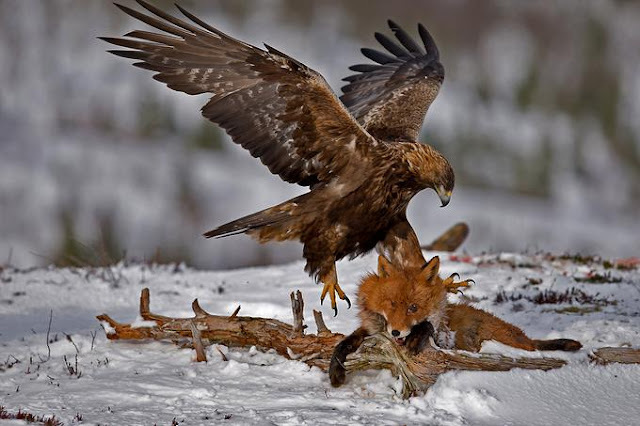 In the image below, the fox is no match for the brutal aerial assault by this eagle. 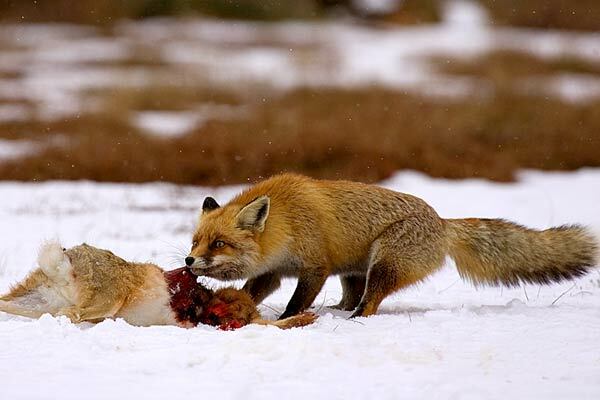 Look at the fox's expression, he simply has no idea what hit him. What's wrong with your eyeball Mr Fox? 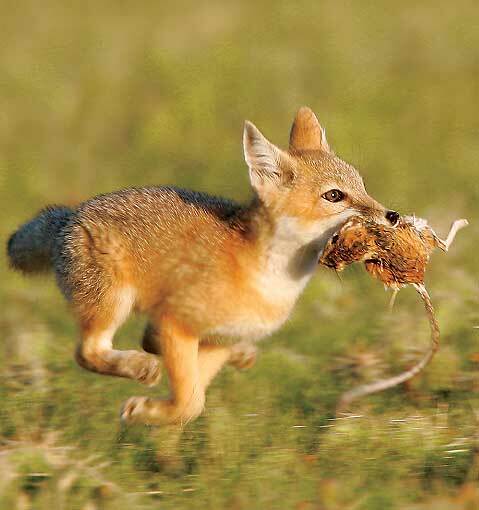 Update: here's a story of a fox attacking a 67 year old in his own backyard!